During World War II, Brunswick shipyards bustled with activity critical to America&apos;s war efforts. 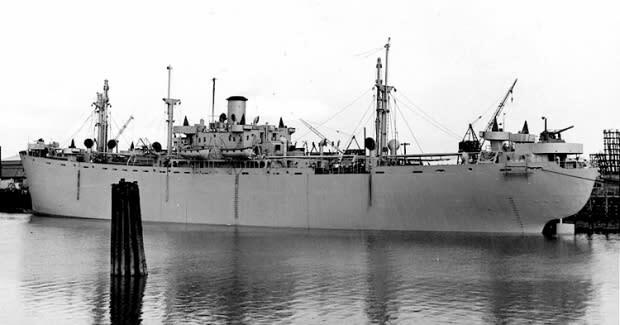 Between 1943 and 1945, the shipyard built 99 of these 447-foot cargo vessels. With no name painted on their bows thus preventing the enemy from detecting the vessels&apos; mission or cargo, these ships sailed the Atlantic and Pacific loaded with equipment and supplies. The dedication of the men and women of the shipyards was best exemplified during December, 1944. Receiving word that the Navy would require six ships during that month, the shipyard workers, instead, guaranteed seven and requested that they not be paid for the extra work required including work done on Christmas Day! A 23-foot scale replica of a Liberty is displayed on the grounds of the Mary Ross Waterfront Park in downtown Brunswick. The park is located at the western end of Gloucester Street.